2018 saw a number of major developments in the waste management industry, from the implementation of China’s waste import ban to an increase in franchise agreements between local governments and service providers. So far, these recent trends in industrial waste management seem likely to continue in 2019, along with the trend of integrating waste management technology with blockchain. Concerns over upcoming changes in government policy and regulation in countries like China and the United States will also continue to influence the industry. Without further ado, let’s move on to the waste management industry’s outlook for 2019. In what has been a fixture in the top hazardous waste industry trends over the past couple years, the alarm caused by China’s ban on imported waste materials will continue well into 2019 and necessitate drastic changes in global waste processing. 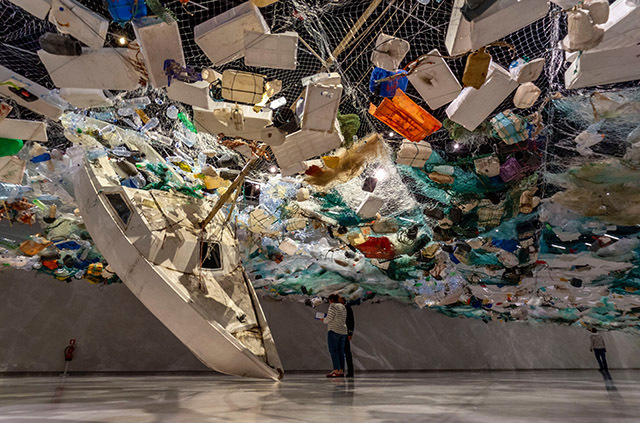 While China had previously banned the import of 24 kinds of solid waste, they have continued to expand the list in 2019, with 8 additional categories of waste joining the list. Some examples of newly banned waste categories include automobile and ship parts, stainless steel, and even wood products. Given that China has imported as much as 45% of the world’s plastic waste since 1992, the disturbance to the global trade system has left countries like the U.S. and Japan scrambling for alternative destinations to export recyclable waste. So far, much of this burden has fallen on developing Southeast Asian economies such as Malaysia, Indonesia and Vietnam. It remains to be seen how these countries will react to the continuing accumulation of waste; many have already taken the step of imposing restrictions on non-recyclable plastics. If the disruption in the global waste trade is not adequately resolved, the short-term effects could be dire, with overflowing landfills and increased marine litter. No matter how the situation plays itself out, the continuing ramifications of the China ban will continue to dominate headlines and serve as one of the key recycling industry trends for the foreseeable future. The Internet of Things, often abbreviated to IoT, has become a worldwide buzzword across many industries in recent years. While search interest in the term peaked in late 2016, we are now firmly in the midst of seeing tangible results in place of what was formerly just preliminary excitement. When all is said and done, most industrial industries, from transportation to food production, will be affected in some way through continued IoT integration and functionality. The waste management industry is no exception, with greater efficiency, cost-effectiveness, and sustainability being several of the most obvious benefits. Sensa Networks’ own Pandora Platform serves as an example of how IoT applications are transforming waste management. This is achieved through the inclusion of smart fullness monitoring sensor technology, which effectively lets equipped trash bins “talk” to trucks and disposal systems through the cloud, sending updates on bin volume and allowing companies to optimize trash routes and remotely monitor performance to more efficiently schedule service calls. 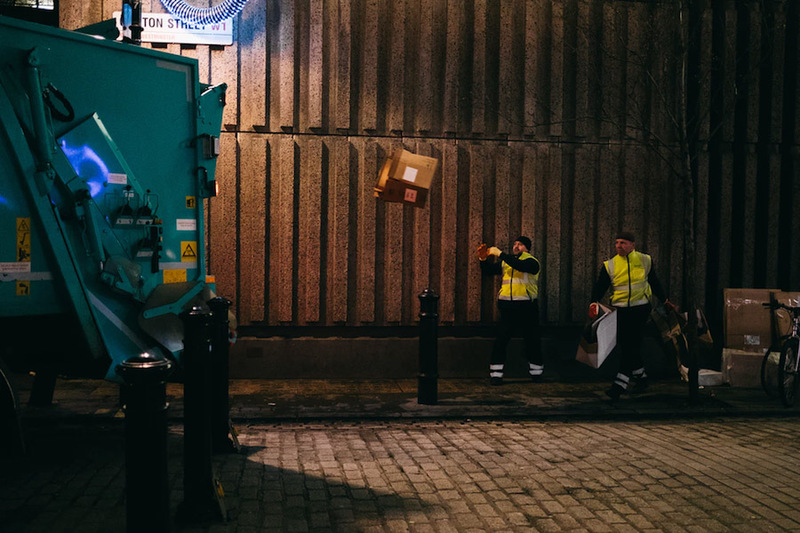 Given the clear savings in cost and time, look for large organizations like municipalities and universities to increasingly turn to smart sensor technology for their waste management needs in 2019. Recycling is usually the first subject that comes to mind when discussing sustainable waste processing. In that regard, 2018 saw a number of recycling trends dominate national headlines. Local bans of plastic bags will continue into 2019, forming an extensive list of cities with such prohibitions in place. Gainesville, Florida has already kicked off 2019 with a ban on plastic bags and polystyrene carry-out food containers. Meanwhile, the entire state of Hawaii is slated to expand its rules concerning the use of reusable and compostable plastic bags, effective on the first day of 2020. This is all not to mention the worldwide trend towards phasing out plastic straws that picked up steam in 2018 and will continue to dominate conversations about sustainability throughout the coming year. Also in 2018, Apple unveiled a smartphone recycling initiative that has brought attention to the challenges of responsibly recycling electronic waste. Process improvements for e-waste recycling are only in the early stages and will surely see significant developments in the years to come. By now, you have likely heard the term “blockchain” associated with cryptocurrencies like Bitcoin and Ethereum. Put simply, the blockchain is a peer-to-peer digital ledger that stores data on transactions and contracts. Even outside its use with cryptocurrencies themselves, the blockchain upon which they are built is increasingly being seen as a revolutionary tool that with a wide array of applications. As with IoT functionality, the waste management industry is also positioned to take advantage of advances in blockchain integration. An early paper on the subject raises the possibility of blockchain-based smart contracts, while a number of use cases have already demonstrated blockchain’s potential impact on sustainability. Contrary to perceptions that cryptocurrencies are primarily used to enable privacy, blockchain solutions can actually serve to increase accountability and incentive sustainable recycling behavior. Even the government of the Netherlands has put the blockchain to use in tracking intra-EU waste transportation processes. The various initiatives already in place demonstrate the promise of integrating the blockchain into waste management, as the blockchain itself is still a relatively new technology. 2019 should yield further developments that help push us towards sustainability and efficient waste processing. Our list of top waste management trends heading into 2019 would not be complete without a nod towards the US policy landscape and how any policy changes could affect the waste management industry. The Federal Environmental Protection Agency (EPA) in the past two years has made changes or outright repealed a number of policies enacted by previous administrations. Such policy directives have included changes in fuel efficiency standards, regulations on coal power plants, and approvals for offshore oil drilling. Given the increasing prevalence of legislation at the city and state level, look for the EPA to continue its trend towards targeted deregulation at the Federal level throughout 2019. This may shift incentives for service providers, depending upon company location, in terms of how they dispose of waste and pursue sustainability goals. It’s hard to tell exactly how these changes might manifest at this time, but any rollbacks in terms of reporting requirements may be a welcome sign for waste management providers who have had to increasingly dedicate time and money to completing paperwork in recent years. Look for any notable changes to be announced directly on the EPA website. Despite the sense that these developments are taking place on a macro scale, the best kinds of change begin with individuals before spreading to society at large. It is up to each of us to stay informed and periodically implement notable advances in industrial processing and sustainability. To that end, Sensa Networks is committed to helping you optimize your operations and simultaneously reduce your environmental impact. Please get in touch today to ask any questions you may have and learn how we can help you meet your goals in 2019 and beyond.